Calligraphy — A Pretty Little Letter. What is an ice cream sundae without a cherry on top? Pretty tasty, but missing that final touch. 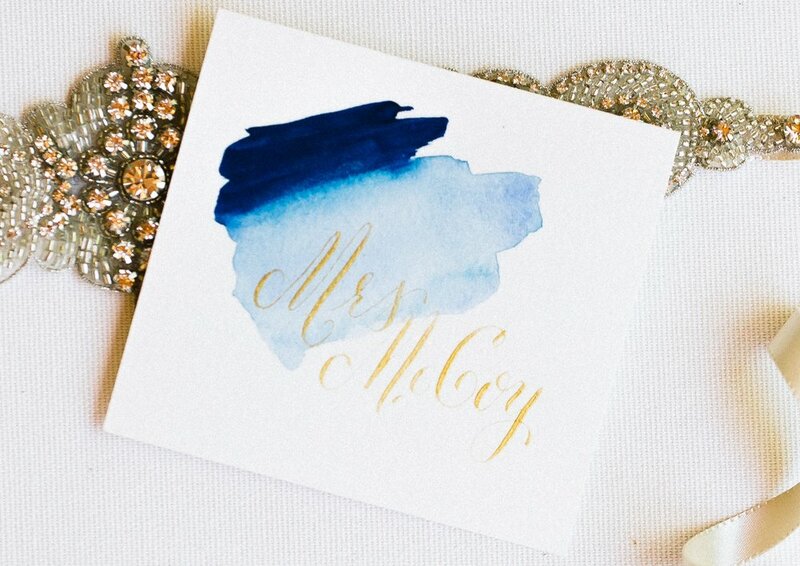 Well, I feel the same way about calligraphy for wedding invitation envelopes! A delicately calligraphed envelope adds the final special touch to the invitation suite you worked so hard to create. Delight guests with handwritten place cards upon arrival to your reception. Reflect on the promises you made on your wedding day. Vows are written with care on 10x14 textured watercolor paper in the color of your choice.